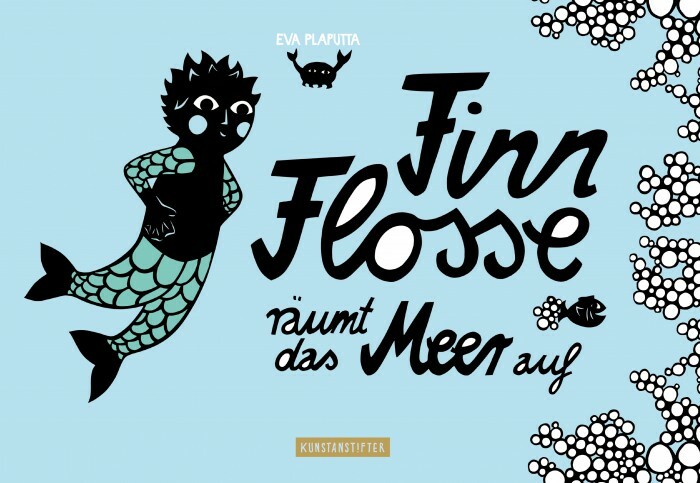 Finn Flosse, son of a mermaid and a human father, is by all means a special inhabitant of the sea. When an unidentified invasion of colored objects and waves threatens the well-being of his friends – as indigestion or tricky traps – he jumps on to the track of the mystery, together with his friend Theo the Whale. This contemporary adventure tale addresses a bad problem, the careless dumping of our plastic waste into the oceans which harms and kills sea life. All the same, featuring artistic, scissor-cut silhouettes, this story is most joyous reading.